Whatever you need, we’ve got you covered. Our service offerings span the entire IT field ranging from simple web hosting to all-out infrastructure design and deployment. There is nothing that’s too big or too small for us to handle. All the services we offer are kept in-house allowing us to custom tailor any service to suit our clients needs. Give us a shot and we guarantee you’ll never want to work with another IT company again! Partnering with us gives you the ability to control every aspect of your company’s IT infrastructure all from a single website and phone number. Never worry about who to call again! Our experience in the industry is no joke. Combined, our vast knowledge of last generation and bleeding-edge technologies puts the competition to shame. Time is money, and we get that. Thats why we are always available to address any needs or concerns our customers may have. You can rest easy knowing help is a single click or call away! 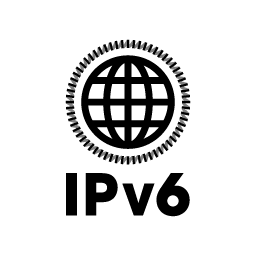 IPv6 is the next-generation of the Internet Protocol, and we are proud to be one of the few hosting companies providing total IPv6 support. As the era of IPv4 comes to an end, the IT industry at large needs to make the transition into IPv6 as smooth and painless as possible for end-users. That’s where we excel, our infrastructure is designed from the ground up to provide IPv6 support. You won’t even know it’s there! All our product lines have IPv6 support including our Managed Web Hosting, and VPS Hosting plans. Make the switch to IPv6 today, and step into the future!